It's a long way from downtown but there are treasures plenty out west at Hongqiao International Pearl City, known by locals as 'the Pearl Market'. 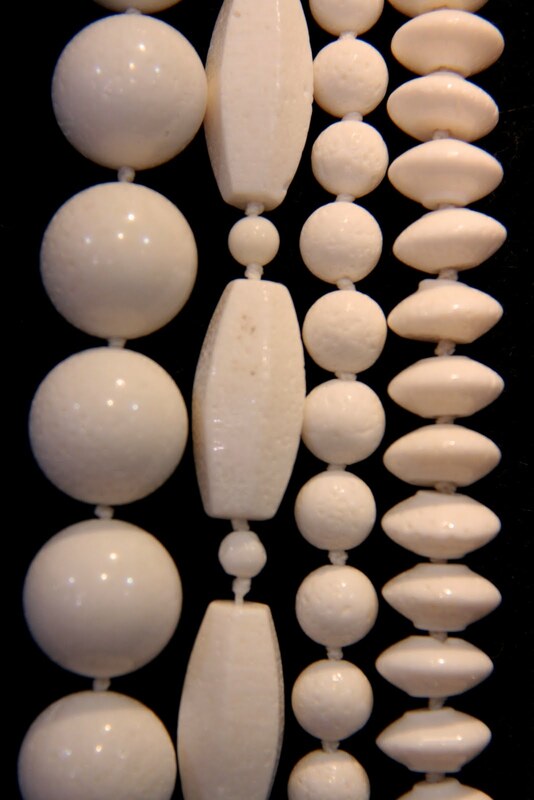 Don't be fooled into thinking that pearls are all you'll find here, because this is three floors of so much more than that. The first floor and third floor are full of shops selling $10 Converse sneakers, North Face jackets, and Ed Hardy t-shirts. I wonder sometimes how all of these seemingly unrelated items of clothing came to be faked en masse in Shanghai, and who decides what's next for copyright infringement. Last month it was Goyard bags (Paris price $2000, Shanghai price $14), but in hideous and lurid colours that would make the tasteful French assistants at Goyard wince. This month it's Cath Kidston knock-offs, and Paul Smith's new line of sneakers. You need to bargain hard, and leave your intellectual property morals at the door. The second floor is where the jewellery is. My jaw literally dropped open when I saw this place for the first time - row after row after row of stalls selling pearls, jade, coral, aquamarine, lapis, and turquoise. More stalls selling ready made costume jewellery at prices that will make you regret ever buying the same thing for twenty times the price in your own country. Beads, bracelets, keychains, anklets, drop earrings, chandelier earrings, fun earrings, serious earrings. 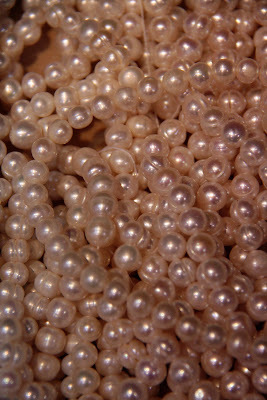 If pearls are your thing, they are cheaper here than practically anywhere else in the world, and they come in every variety possible - freshwater, South Sea, seed pearls, big fat black pearls. You'll go nuts. If you don't like what you see on display, you can also have something made up for you on the spot, and the only cost will be the price of the raw materials. Choose the beads or pearls you like, choose a pendant to go with it, and wait for five minutes while you have it all put together. Earrings start at 10 kuai (about $1.50) and necklaces at 30 kuai ($4.50). 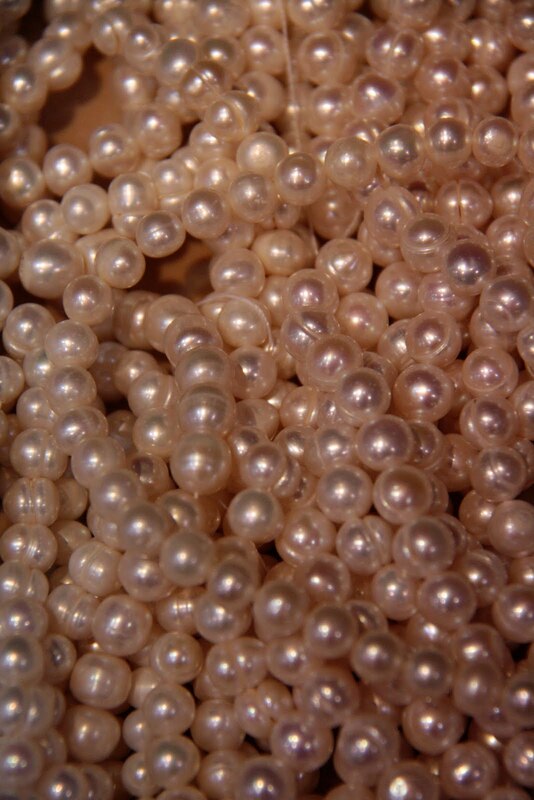 I can highly recommend seeing Charles and Jennifer at CJ Pearls for fair and reliable prices and great workmanship. I love to take them some piece of old treasure I've dug up at the Ghost Market or Dongtai Lu Antiques Market, and seeing what they can transform it into. Last week it was a pair of jade fish (I thought it was a pair of hammerhead sharks when I bought it - but fish are much luckier). 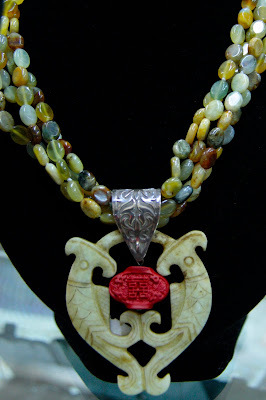 Charles drilled a little hole, Jennifer made the necklace to hang it on, and hey presto, a heavy duty jade lucky fish-shark necklace.